cat eyes & skinny jeans: Shopbop's Shopping Event of the Season On Now! ‘Twas the Eve before Thanksgiving when all through the house, not a creature was stirring…except for a fabulous fashionista with the urge to scoop up splendid designer wares via Shopbop’s BIGEVENT sale! 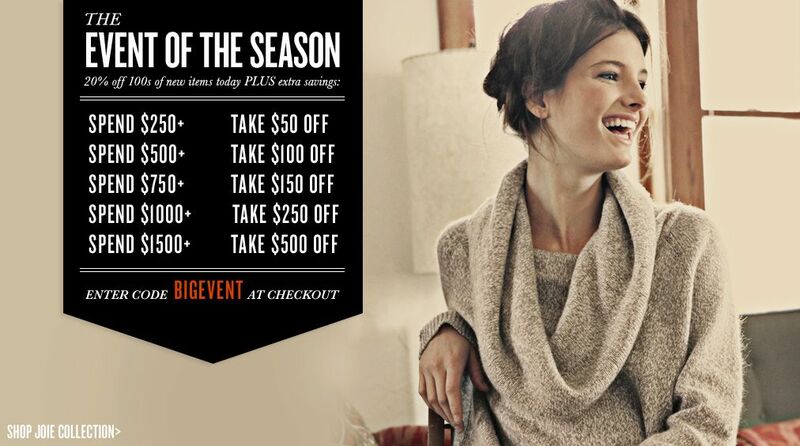 Simply Enter the Code BIGEVENT Upon Checkout to Snag Your Savings! Holy man, this could be bad for my wallet. I'm going to faint from the awesome. I fully support the v neck sweater in both colors! Great purchase! Thankfully I'm on a shopping ban this month so my wallet's taking a breather! Oh goodness! Good thing I'm still trying to save. ooo, great tip! thank you!